What does it mean to live without electricity? See how much electricity Americans use each day – and understand how crucial it is to our daily lives. Electricity is not a luxury, but a necessity, and all 7 billion humans should have access to it. 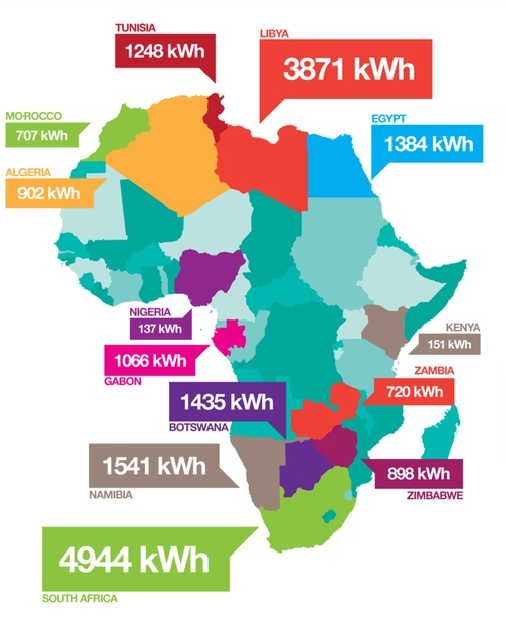 Most people living in Africa use significantly less electricity in a year than the global average – and 7 out of 10 people in sub-Saharan Africa live without it every day. That’s more energy than the average Kenyan uses a day! That’s how much energy the average Moroccan uses a day! That’s how much the average person from Gabon uses a day! That’s more than the average person from Botswana uses a day! That’s more than the average Zimbabwean uses every 2 days! That’s just under what the average Moroccan uses a week! That’s how much the average Kenyan uses a month! That’s more than the average Nigerian uses for 3 months! Surprising, right? Makes you think about your electricity use a little differently. But here’s the best news: You can change this. Join ONE and support a bill that will help African governments bring electricity to 50 million people for the very first time.